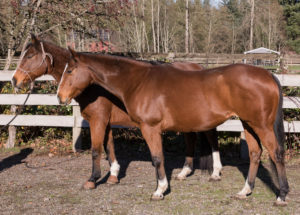 Aurora is a beautiful young mare with a lot of potential. 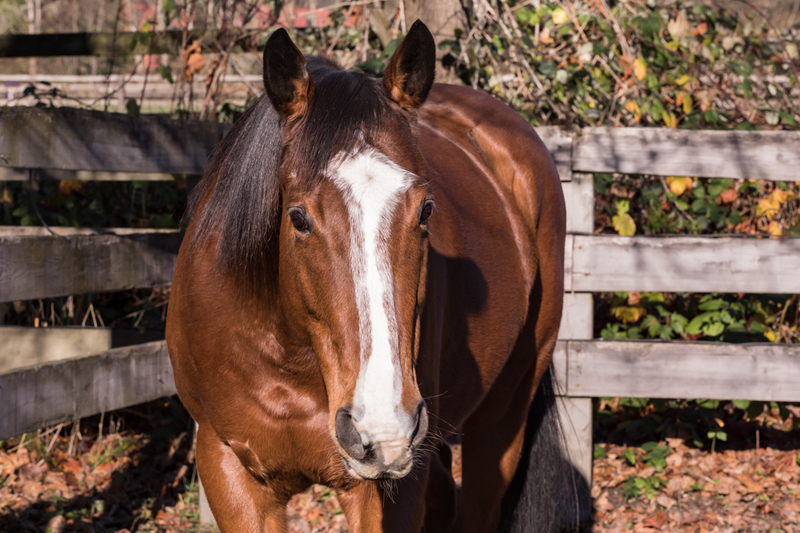 We are very excited to be helping rehabilitate and train this big bodied and elegant Thoroughbred. She is now up to date on all of her medical and farrier needs. She did well for her dental visit with Dr. Fleck and was very well behaved for her trims with Daphne. 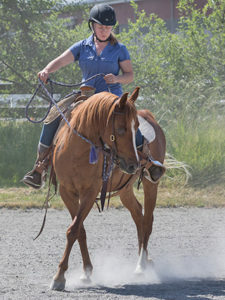 She is very inexperienced with basic training such as how to lunge or stand tied but in time, she will be a pro at all of this. The biggest hurdle for Aurora will be successfully separating her from her mother, Belle. She was never weaned and has an extremely strong bond to her. While friendships between horses are a good thing, herdbound behavior like we see with Belle and Aurora can be very dangerous. In order for both of them to be successfully adopted, there will come a time in which they will have to part ways. Our goal is to slowly allow both horses to have positive experiences while apart for short amounts of time. Over the course of the next few months, we will practice moving them apart and helping them connect to their human handlers. The first step in this process has been separating them into their own stalls at night. We have also been able to do ground work with each of them at a distance from one another. Our plan is to get Aurora prepped for being ridden over the next few months, by introducing her to the saddle and working on trailer loading. 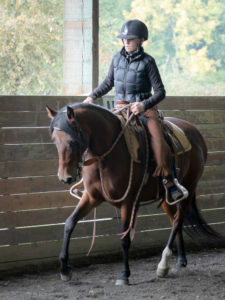 Once she is ready, we will take Aurora to training to be started under saddle. 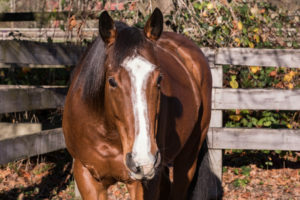 She is a very smart athletic mare with a bright future and we have a lot of hope for her success in our training program. 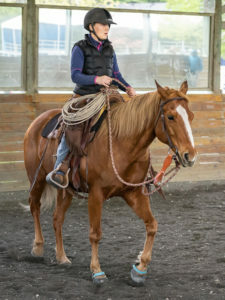 How would I go about getting a horse from you guys? And about how much do the cost?